Marvel Comics Legacy & Secret Empire #10 Spoilers: Which Captain America Is Worthy To Hold Thor’s Hammer Mjolner? 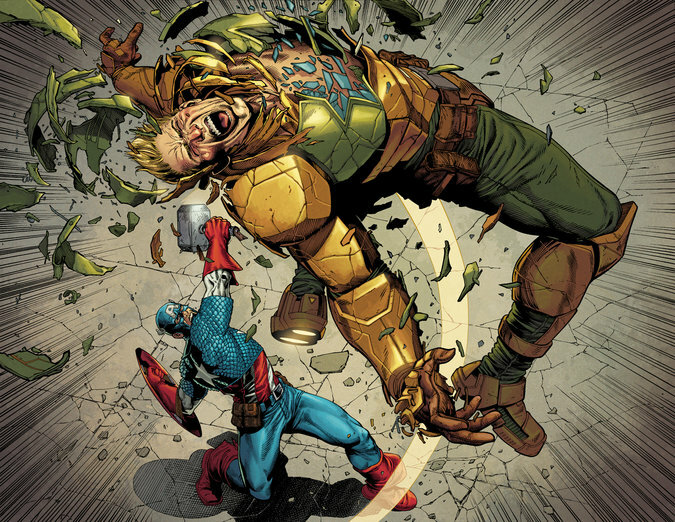 Was Hydra Cap Ever Worthy? Marvel Comics Legacy and Secret Empire #10 Spoilers follows. (iii) The heroes start visiting the Vanishing Point to enable the Generations one-shots (spoilers here); and. (iv) The reveal of the cunning plan by Sam Wilson and Bucky Barnes to defeat Hydra Cap (spoilers here). 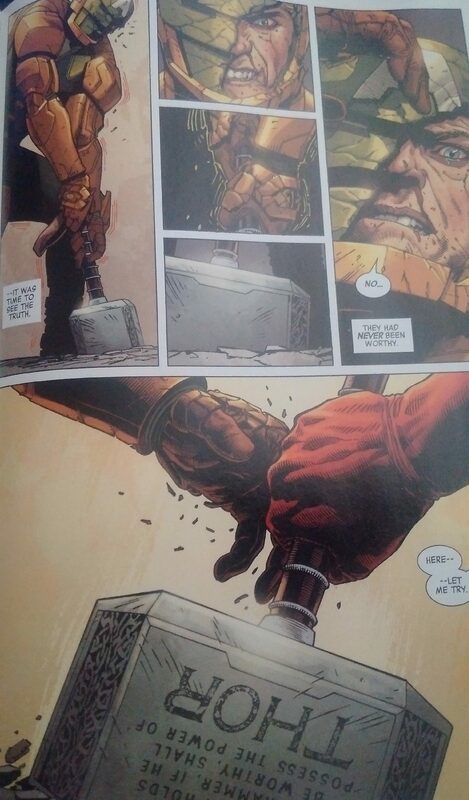 …we also have the question of the worthiness to hold Thor’s hammer. 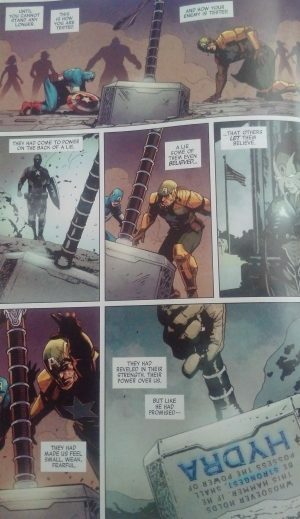 One of the most controversial scenes in Secret Empire was in the Free Comic Book Day 2017 (FCBD 2017) issue that saw Captain America, Agent of Hydra, wield Thor’s magic hammer making this corrupted Nazi Steve Rogers “Worthy”. Well, in Secret Empire #10, in the battle between the good Captain America (the sentient Cosmic Cube Kobik’s figment of memory / imagination of what Captain America should be) and the evil Captain America (the real DNA and all Captain America who has been corrupted and is a Hydra Nazi) we have a battle for Mjolner. 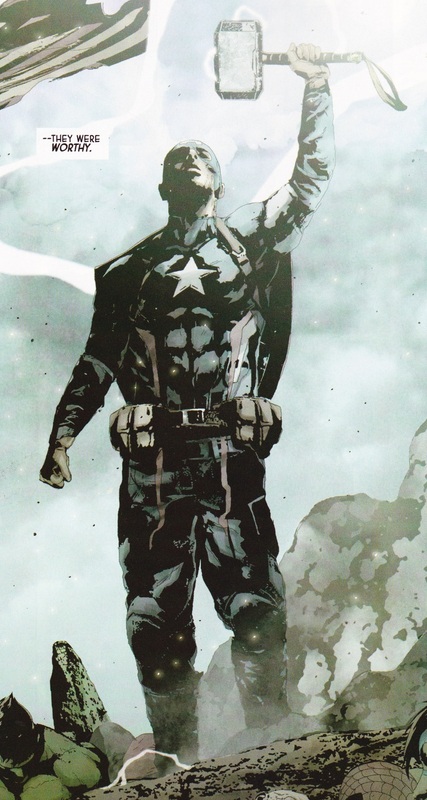 …the American Dream “good” Captain America can do. And use it to defeat Hydra Cap. Not sure how the hammer reveal plays into recent issues of Thor where female Jane Foster Thor presumably wields it, but perhaps those questions will be answered in Secret Empire Omega #1 or Marvel Legacy #1 or never.